We looked at the top 10 Dashboard Cameras and dug through the reviews from 34 of the most popular review sites including Tech Radar, BestReviews, Lifewire, Tom's Guide, Digital Trends, PC World and more. The result is a ranking of the best Dashboard Cameras. Our experts reviewed the top 10 Dashboard Cameras and also dug through the reviews from 34 of the most popular review sites including Tech Radar, BestReviews, Lifewire, Tom's Guide, Digital Trends, PC World and more. The result is a ranking of the best of the best Dashboard Cameras. The X1's camera blows away the competition, but it's especially great for night driving. The large screen, super wide 165-degree recording angle and ultra-fast F1.6 aperture capture every detail once the sun goes down. The unit's Emergency Lock Button protects your video in case a crash damages the camera too. Although this dash cam requires you to manually set the date and time and doesn't work as a motion detector, its other qualities still make this a great find. DWYM Electronics Experts plus BestReviews, PC World, Dash Cam Safety, Dash Cam Gurus, Dash Cam Geek. Along with user reviews from Amazon and Walmart.
" Has superior night vision, high definition video, and a sensor that locks and protects video from being damaged in a car crash." "My real issue with the X1 is that you must set the date and time manually." PAPAGO's camera is very impressive with its Ultra HD video capabilities for crisp footage day or night. It records well in inclement weather, and the large memory capacity makes it great for long rides. Extra features like Stop Sign Recognition, Headlight Reminder and Driver Fatigue Alarm put it a cut above the competition. It's an overall all-star in a compact design. DWYM Electronics Experts plus New York Times Wirecutter, Dash Cam Portal. Along with user reviews from Amazon and Walmart.
" this model produced crisp images that made seeing details and license plates easy." "Even though its Stop Sign Detection alerts me wrongly sometimes"
Garmin's Dash Cam packs high-end features into a pocket-sized unit. You can pinpoint the time and location of an accident with its GPS-enabled automatic Incident Detection. Voice controls, wireless smartphone syncing and collision warnings add to this cam's value. It's an all-around excellent dash cam that's well worth the price tag. DWYM Electronics Experts plus New York Times Wirecutter, Tech Radar, Trusted Reviews, Digital Trends, PC World. Along with user reviews from Amazon, Best Buy and Target.
" It also comes with GPS, Wi-Fi, voice control, and a number of safety alerts, including forward-collision, lane-departure, and safety-camera warnings (the last only with a subscription)." "Apps offer limited control and Small battery." Our affordable dash cam selection doesn't skimp on features. It has night vision and the fast shutter speed you need for stellar after dark recordings. The Ausdom also auto-locks your footage during an accident, and Parking Monitoring records any dents that happen when you're away. The resolution isn't quite as high as our other choices, but it's still impressive for a camera under $100. DWYM Electronics Experts plus BestReviews, Dash Cam Gurus and 1 more. Along with user reviews from Amazon.
" Clear, HD video at a great price, with a very good auto sensor." "It doesn’t have some of the stand out features like GPS or 2K resolution"
We identified the majority of the dashboard cameras available to purchase. 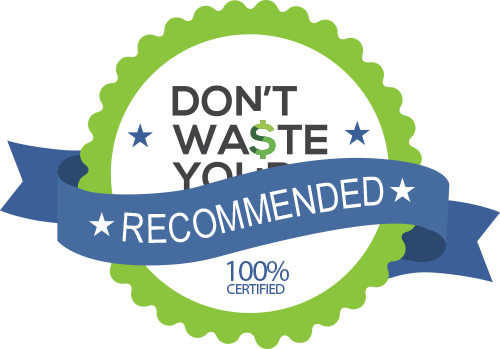 Reviews from our DWYM category experts and analysis of some of the most respected sources including: Tech Radar, BestReviews, Lifewire, Tom's Guide, Digital Trends. Has superior night vision, high definition video, and a sensor that locks and protects video from being damaged in a car crash. take crisp high definition quality videos in all lighting situations. The GPS Suction Cup Mount means that all of your recorded footage will automatically link to the location that is recorded in, without the need to connect your device to a separate GPS device. 8GB memory card that comes with unit is inadequate for high volumes of HD video. My real issue with the X1 is that you must set the date and time manually. it does not work as a motion detector. Time must be set manually; the GPS does not configure it. Clear, HD video at a great price, with a very good auto sensor. Automatic car accident detection feature (G-Sensor Tech) which locks video file to memory. User manual is a bit confusing and vague about setup. If you’ve ever walked to your car and discovered a fresh dent, you know the frustration of trying to figure out what happened and who’s responsible. Courteous drivers leave a note with their contact information, but not everyone has a heart of gold. In these situations, it’s helpful to have an extra set of eyes on your car. That’s where dash cams come into the picture. A dash cam is a camera mounted to your windshield or dashboard that continuously records the view as you drive. They offer time-stamped photos and videos of traffic accidents, fender benders and hit-and-runs. Dash cams are incredibly useful for recording details about another driver’s car, weather conditions and anything else your insurance company might need to know when you submit a claim. They can also protect your car while it’s parked. The Ausdom Dash Cam flips on if it detects a vibration, capturing bumps from other vehicles. The footage your camera takes is stored on memory cards, which range in storage space from 8GB to 64GB. Almost all models allow you to upgrade your memory card. After a driving incident, you can remove the memory card and move the video to your computer or smartphone. Some versions, like the Garmin Dash Cam, even have free apps that sync with your phone for instant uploads. Most dash cams record in a loop to conserve space on the cam’s memory card. If your car records on a three-minute loop, every three minutes will be saved as an individual video until the card is full. Then the recording will start writing over the oldest three-minute clips. Ausdom’s Dash Cam lets you choose between one, three and five-minute loops, while KDLINKS X1 cam automatically records in a continuous loop. Night vision, collision alerts and GPS are other perks you’ll find in high-end dash cameras. Depending on the camera quality, extra features and memory storage, you’ll pay anywhere from less than $100 to almost $300. Here are some things to consider before you pick your dash cam. If you search online for dash cams, it won’t be long before you come across some Russian dash cam footage. The vast majority of Russian drivers use dash cams to fight back against a legal system that rarely takes firsthand accident accounts seriously. The country’s large size and poorly designed roads also make dash cams a must-have. As a result, Russian dash cam videos have become an online phenomenon. A Google search for “Russian dash cam footage” yields over two million results, with thousands of videos from everyday motorists. Highlight reels featuring shocking crashes and intense weather are especially popular. Dash cams in Russia catch more than just traffic accidents. Since there are so many cameras running simultaneously, they’ll occasionally capture something remarkable. A 2015 video went viral for catching a gorgeous meteor shooting over Russia’s horizon. How often do you use your car? If you drive to work along a busy city route every day or go on frequent road trips, you’ll want a dash cam with plenty of memory, like Garmin’s Dash Cam 65. How much are you willing to spend? Dash cams range in price from under $100, like our budget-friendly pick the Ausdom, to several hundred dollars, like the small but mighty Garmin Dash Cam 65. Both offer basic dash cam advantages, like wide fields of vision and night modes. However, the Garmin’s additional features (like voice commands and GPS Incident Detection), command a higher price. How much space do you want your dash cam to cover? Previous generations only focused on recording images in your direct sight line, but modern options have a broader field of view. The KDLINKS X1 offers a wide 165-degree angle, while models like the Garmin Dash Cam 65 go for a full 180 degrees of viewing. How often do you drive at night? Dash cams have varied nighttime capabilities, and you’ll want to look at each camera’s options before picking one up. The KDLINKS X1 has an F1.6 aperture (meaning it snaps photos and video clips at fast intervals) and a high-resolution lens for easier nighttime filming. How much memory do you need? If you don’t drive frequently, a smaller memory card with 8-16GB of space should be just fine. PAPAGO’s GoSafe Dash Cam comes with a free 8GB card, while Garmin’s Dash Cam has a memory card slot that can upgrade to a whopping 64GB. How many additional bells and whistles do you need? New cars are coming to the market with features like built-in motion sensors and GPS. If your car already has those features, you may not need certain dash cam features like KDLINKS X1’s GPS module. Do you want a dash cam with smartphone compatibility? The PAPAGO GoSafe Car Dash Cam has a smartphone app that allows you to instantly download and share videos. Other models require you to stop and download footage from your memory card onto your computer or smartphone. Are you an Android fan or an Apple aficionado? PAPAGO’s smartphone app is only available on Android devices, while Garmin’s Dash Cam 65 has an app that’s accessible for iOS and Android. Make sure your car is locked when you have your dash cam out. If it’s a model with a vibration sensor, like the KDLINKS X1, you’ll need to have it up and in view to capture parking lot damages. However, an obvious dash cam on your windshield or dashboard could prove tempting for car thieves. You may want to consider covering your camera up with a sweater or putting some junk mail on top of it (make sure you leave the lens uncovered, though). Check with your insurance company to make sure they accept dash cam footage before you buy one. Even if your insurance company doesn’t accept personal footage from a crash, a dash cam may still be a worthy investment. Minor accidents or drivers who want to avoid hiking their insurance rates might be willing to settle on out-of-pocket expenses if you’ve got dash cam footage of the accident. Check out your state’s laws about driver visibility and car accessories. Some states don’t allow any type of navigation system or camera to be mounted to the windshield, while others have strict regulations on how many inches the camera can be from the side of your car. Check your state’s laws and consider investing in a different type of mount. For the Dashboard Camera category, we analyzed 34 of the most popular reviews including reviews from Tech Radar, BestReviews, Lifewire, Tom's Guide, Digital Trends, PC World and more. The result is a ranking of the best Dashboard Cameras.